A collection of colorful dental tools comprises an artistic, abstract photograph. 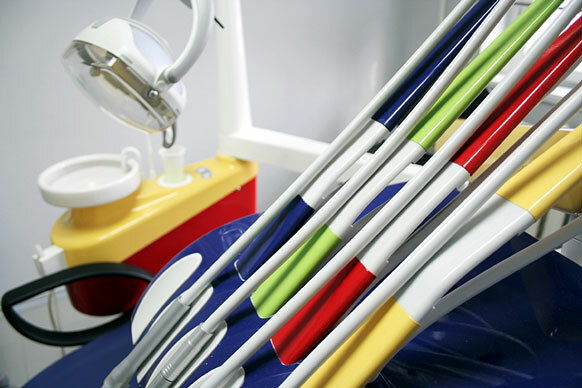 Tools detailed with green, yellow, blue, and red add color to an otherwise austere dentist's office. A dental lamp, used to better illuminate the interior of the mouth, is in the background.